Our premiere partners at Enjin are celebrating their second birthday! (Disclaimer: I do advise them when it comes to their services from a GM perspective and the actual links are affiliate links). From one guild master to another, I can’t recommend their services enough. In the past, I’d use my own combination of forum software, blog software, and EqDKP hacks to manage my guild’s online presence. On of top of that, I had to stress over the looks, too. Now I don’t know about you but as a guild master, I’d rather spend my time actually playing the game with my guild instead of having to fret over the technical stuff. I don’t have to worry about loot tracking. They do it for me. Attendance? That’s taken care of. My guildies can keep track of each others blogs. The best part? An actual recruiting form for applicants. In the past, we had a separate forum where users had to copy and paste an existing application template into a new thread. It was archaic! But with their modules, all we had to do is come up with the questions. Their promotion started a few days ago. But it ends tomorrow! If your guild’s web contracts are coming up for renewal, consider using Enjin to power your guild instead. SAVE 40% when you prepay for 1 year on any plan! SAVE 40% on all themes and headers! SAVE 30% when you prepay for 6 months on any plan! SAVE 20% when you prepay for 3 months on any plan! Their Ultimate plan is the best value if you opt in for a year. With the 40% discount, that’s $17.97 a month. For smaller guilds, Premium might be the better option for you. For a year on the same promotion, that’s a $5.37 a month. That’s approximately three dollars a month without having to fret about technical issues, upgrades, or other problems. But hey, if you’re still sceptical about their services, you can always move your entire guild and try out their premium plan for a month first. See how your guild likes it. Hurry! You only have a day left before the deal expires! Tough Call: Are your officers carrying their weight? Welcome back for another week of cupcakes and snugly puppies. We both know we’re not here for that, so let’s get down to business. What follows will be Part 1 of an 18-part epic series. When I am through, angels will descend from on high and carry the compiled works to the Vatican for safe-keeping. Ages from now, historians will place this up there with The Illiad, Kafka’s Metamorphosis and Hitchhiker’s Guide. Recently we discussed the important roles and differences between the GM and the Raid Leader. In a 10-man strict guild, you may be able to get by with only have these two officers and some trusted guildies from whom you can expect honest answers. However, I find that even 10-mans and almost certainly 25-man raiding guilds run better with multiple officers. In my experience, and from what I’ve been told by other leaders, there often arises a situation where guilds have officers who seem to be the Deputy of Do Nothing. (As opposed to my own favorite title: Deputy of Awesome.) I have found that this unique problem can stem from three sources. Not a Leader – These are the officers who may be great players, may be long-term guildies, but once they become an officer, they don’t really do much other than give their opinion when prompted by the RL or GM. Fatigued Leader – They were great officers but are not just phoning it in, and are only around out of a sense of obligation. No-Confidence Leader – They would do a great job, if they thought they had the back-up and the RAA to do it. As it stands, they feel that the average member has more say than them and may be tired of the squeaky wheel getting the oil. How do I spot this before it’s too late? Part of being the GM includes an unwritten commitment to your members that you will make sure the rest of your leadership team has the responsibility, authority and accountability to handle their respective areas. 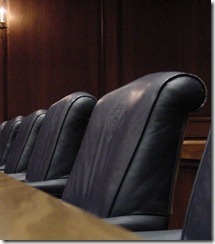 Therefore, you MUST make sure that among your GM duties you include your due diligence. Kick the tires, shake the branches and see what turns up. Talk to your members. I’m sure you’re probably running heroics, or BGs or whiling away the hours getting that fishing feast while in Mumble with your teammates/members. Try to recall the last time you had an in-depth conversation with your officer. Did they prompt the conversation or did you? How many solutions did they present to the problems your team was encountering? How many of those solutions have been implemented? Review how organized/engaged their part of the team is on your forums. 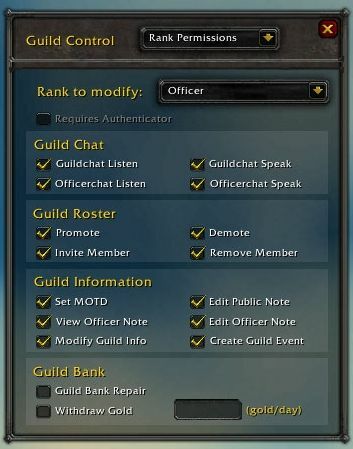 If this is something that is important to you or your guild community, your officers should be on top of it. Lastly, think of what you would be doing if you were in their position. Don’t think that just because you don’t play healer, you can’t tell a healing officer what to do. 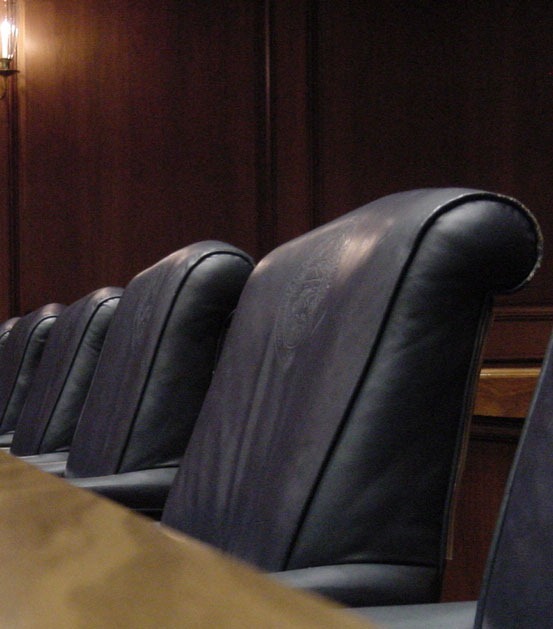 Management skills are not class-specific, and chances are you were once doing their job. At minimum, you will come up with some ideas to discuss next time you talk to them. At best you’ll see that there are opportunities that you both can capitalize upon. The first step in preventing anything, is to clearly state your expectations upfront. After all, human nature dictates that people will operate to the level that is expected of them, and if you don’t set that bar, you’re asking them to decide how to run your guild. You and I both know that the reason you promoted someone to a position of authority is because you trust their opinion, intelligence, communication skills and reliability. So the only thing missing is your guidance/structure to tell them how you want these skills applied. Rule #1: Do NOT promote all your friends. If Rules 1 & 2 overlap, you should either make more friends are trust more people. Grant them authority to do their job as they see fit. Nobody can do a job well if they think they have to ask permission. Agree upon how often you expect feedback from them. Ex: Post-Raid Debriefings, Weekly Status Reports or End-of-Tier strategy sessions. Make sure their position is easy enough for the rest of your team to understand. You don’t want anyone saying “what does he do again” or “he’s an officer just because he’s friends with XYZ, he doesn’t do anything”. Make sure they are NOT the type of person who settles for just doing their job description. Good leaders appreciate new talent and new ideas. Encourage those people who could probably do your job. They will keep you fresh and your team will benefit. Let them know that it’s acceptable to come to you for help BEFORE a fail. Establish a routine or set reminders for yourself to remember to review these steps and refine them where needed. Next week we will continue and discuss what you can do once you’ve spotted the problem. As always, comments, suggestions and questions are appreciated. Also, the CD of my stand-up routine is available at the table by the door. I’m here all week. Tip your waitress! I conducted this interview about two weeks ago with Blacksen of Blacksen’s End. He is both a GM and a blogger. I picked up several neat ideas as we discussed the raiding environment and guild management tips. Hey Blacksen, thanks for taking the time to sit down with me and answer a few questions. I understand you’re a guild leader yourself. Could you tell me more about you, your guild and how that organization came about? Back in early December 2009, a few of my RL friends (Faux, Rissara, Krisys, and Dez) and I transferred to Zul’jin with the intent of PvP’ing together. After reading more about rated battlegrounds, we decided to start a guild doing battlegrounds on Sunday/Monday and raiding on Tuesday/Wednesday/Thursday. We knew from the beginning that our primary guild value would be performance. All of us were excellent gamers who wanted to excel in the content given. Recruitment was kicked into overdrive over the Holidays and our first 25man raid was January 4th. It’s funny to look back on it all since we specifically told people in our February, March, and April interviews that “we are not a server first guild. We can’t get server firsts raiding 3 nights per week on a very competitive PvE realm.” Now, we’re recruiting and driving for national competition while staying on our limited schedule. We’re the #3 3 night/wk guild in the United States, behind Surprise Mutiny and Arathian Knights. 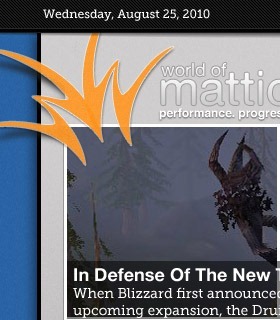 We’re hoping to become #1 with Cataclysm. Over the past few months, we’ve actually split the guild into two separate “teams” under the same guild tag. I’m the main coordinator of Critical, our PvE progression team. One of my officers, Faux, is the main coordinator of Vital, our Rated Battlegrounds team. We want both teams to be able to compete at a national level while still accruing the same guild achievement, experience, and reputation benefits. This system allows the two teams to achieve that while operating completely independently. As a guild leader myself, I’m always interested in learning about the management techniques of other guilds. Have any trade secrets? There are a few things we learned pretty early on that helped us out, the first of which was making value-based recruitment decisions. We told people that we valued performance above everything else, and we accepted anyone who came to us saying “I also value performance.” We accepted several undergeared and underqualified applicants simply because they said “I know I’m a good player” – Toragon, Annaleise, and Anosh, to name a few. A horse walked into a bar and the bartender asked “Why the long face” and the horse said “Because I’m not in Imperative.” Imperative is recruiting! Join now! You can pwn if you wanna. You can leave your guild behind. Cus your guild don’t pwn and if it don’t pwn then it ain’t no guild of mine. Imperative is recruiting! Just a city dwarf, born n’ raised in south IF! He took the midnight train going to Imperative, with a light raid schedule and 8/12 in ICC-25! Spots open, join now! Apolo Ohno? More like Apollo Fail-o! Why? Because he’s not in Imperative. These macros were essentially designed to grab attention. Most people just completely zone-out when it comes to advertisements in real life, and trade-chat advertisements are no different. These macros were designed purely to get people talking about our guild and what we were about. Another successful idea that we implemented were guild meetings. We hold an officer meeting at the end of every raid week to discuss recruitment, member concerns, and anything else that we want. In addition, we also hold a guild meeting on the last Monday of each month. Our guild meetings serve as a reminder to individual players that we’re focused on both short-term and long-term goals. It’s easy for a lot of guilds to get so wrapped up in each progression cycle, so we created our guild meetings to reinforce long-term guild goals. With regards to Cataclysm, how is your guild preparing for the expansion in the opening weeks? We’re going to take it easy. We’ve set out first “official” 25man raid for January 4th. Between Cataclysm’s release and that date, we’ve set out some expectations for our members such as 40 heroics minimum completed, all of the good gems/enchants (including reputation ones), tradeskills high enough to incur personal raiding benefits, and strong familiarity with your class mechanics and all introductory fights. However, I’m sure we’ll end up doing some 10man raiding to start getting familiar with the fights. We might end up raiding on December 21st. Right now, Cataclysm is looking like you cannot “skip over” heroic dungeons. WotLK had players walking into Naxxaramas with essentially quest greens, and the raid instance itself was extremely easy. Blizzard seems to be overcorrecting for that mistake, making most of the introductory encounters complete gear checks. Our rated Battlegrounds team, Vital, is likely starting December 18th or 19th. We now know that it will be a 15v15 weekend, and we’re all very excited to dive headfirst into the competition. It’ll be interesting to see what teams show up that early and how the season scales with resilience. How do you utilize your guild bank? How are the resources being used? Right now, the guild bank pays for all repairs during raiding hours and provides fish feasts for all raiders. We’ve accumulated a static 225k to “sit on” going into Cataclysm. Anything over 225k is split among all active raiders at the end of the month. We sell Light of Dawn for 40k each week to two players, in addition to selling heroic run-throughs and gear. We’re hoping to be able to provide Flask Cauldrons, but, with the changes to 10 and 25man raiding, that may not be sustainable. With the merger of 10man and 25man lockouts, it’s become difficult to sell both gear and raid spots. However, the guild leveling “perks” that deposit gold into the guild bank in addition to BoE items might transfer things over. Let’s talk about your raid environment for a moment. I’ve heard from a variety of raiders at upper levels that a top 100 guild is different from a top 50 guild which is different from a top 20 guild (and a top 10 guild). Do you know what I mean? Do you think you can explain that a bit? What kind of mindset or mental state is the raid in when on a progression run? I think the main thing that varies is the collective view of the most brutal progression fights. For the most part, we were nowhere close to competing for US until we seriously pushed heroic Lich King. 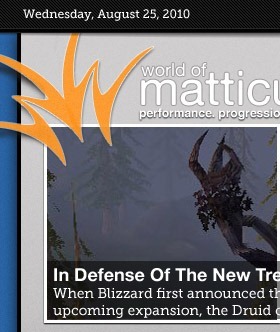 In fact, we spent the entire month of January competing to get on the front page of WoWProgress on Zul’jin. When we got out first heroic Sindragosa and Putricide kills, we were just under the “top 250” cutoff. We were a guild that was 4/12 heroic until the next zone-wide buff, and we’d jump 4 more bosses. We raid three nights per week and strictly adhere to our schedule. We’ve never raided past 12:20am and never raided on a non-raid night. Most of us felt that, with 10 hours of raiding each week, things like server firsts were beyond us. We told people in interviews up front that we likely wouldn’t be getting server firsts just due to time constraints. Our mindset changed drastically at heroic Lich King. When we learned that other guilds on the server were making limited progress, we saw an opportunity to actually seize a server first. Our raid environment went from joking-fun raiding to semi-serious and professional attitudes. Whenever the officers elected not to attempt heroic Lich King, people became extremely agitated. There are a lot of different “modes” that raids can enter when pushing progression. There’s an “unfocused” mode where people crack up at Shadow Trap wipes. There’s a “bad luck” mode where people start feeling that elements are out of the raid’s control (disconnects, for example). There’s “rapid fire” mode where you’re literally just throwing bodies at the boss and trying to get as many attempts as you can (Quedar hates this mode. I love it). These modes are all fairly detrimental, but all difficult to control. It’s hard to make sure that people are both focused and having a good time. The worst thing that I can ever hear as a raid leader is one of my officers saying “this is miserable” – you’ve gotta keep morale up. The one thing that all top-level guilds have in common is the high emphasis placed on performance. I’ve been playing WoW for over 4 years, and I know how challenging it can be to be an awesome player surrounded by bad ones in a terrible guild. So, in case there is any doubt, there are guilds out there where everyone is an excellent player and no one is getting carried. You just need to find them. Can you summarize the recruiting process after the initial application? You probably have a trial portion of some sort. What does that involve? What happens when a raider passes it? What happens when they fail? Once you submit an application, you’ll get assigned a unique application ID number that gives you and only you access to your application. The application also gets posted on our private forums so that members can post questions and comments for the applicant to see. I firmly believe that all applications should be private for both the applicant and guild, but I also wanted applicants to be able to engage in a dialogue about their application – this system allows them to do that. After you submit an application, we usually get comments posted about it within 18-24 hours. If we like your application, you’ll get flagged for an “interview” by one of our officers. Interviews, for us, usually consist of no questions. Instead, we just lay out how we operate and what our expectations are. It’s then the burden of the applicant to evaluate themselves and critically analyze if they can meet our expectations. Nearly every applicant who gets to the interview stage is accepted. We don’t have any “initiate” or “trial” status. Once you’re in, you’re in. You’re held to the same expectations as every other member. We do not allow “I’m new” as an excuse for poor performance. We expect everyone to get things correct on their first try, even if they’ve never seen it before. What type of players are you looking for when you’re recruiting? Are there any specific or shared traits among the players in your raid group? Simply put, we recruit “skilled players.” If anything, the past year has proven to us that skill drives progression – not time input. We want players who are world-class record setters and don’t need to make mistakes in order to learn the lessons. However, there are several other elements that go into our ideal applicant. Applicants for either team are expected to be team players. We frequently call upon individuals to set aside their personal goals for a larger team goal. We had three rogues and three hunters when pushing heroic Lich King, but we only brought one rogue and one hunter due to their weak classes. In the 10-weeks prior to heroic Lich King, we received 40 heroic tier tokens in which every single one went to a DPS. We asked our healers to set aside their personal healing goals so that we could gear for the fight (heroic Lich King being a pure DPS race). To screen for team players, we usually look at guild history. Players who are essentially “guild hoppers” usually hop whenever asked to set aside some personal goal, while players who’ve been in a single guild for 6 months or more have inevitably been asked to do something they didn’t want to do, but did it anyway for the team. Another strong element is cultural “fit.” Imperative’s culture largely emanates a feeling of “professional college gamers.” 90% of the guild is between ages 20 and 25, and 96% of the guild either already has or is currently pursuing a 4-year Bachelor’s degree. Culturally, the majority of our members are extremely professional – no one would greet their friends like “gangstaz”. We want players who fit well with our raid environment. To do that, you need to be a generally nice person who doesn’t screw around in raids and enjoys being around other people. In the past, we removed two main tanks for extreme personality clashes (and generally being assholes). What immediately happens after a wipe? What is the leadership approach to players who aren’t “getting it”? Immediately after any wipe, every officer writes down what they interpreted as the cause of the wipe in addition to any mistakes that were made in the previous attempt. This data is then compiled later in our officer forums for analysis. We then explain what we interpreted as the cause of the wipe and what we need to do to improve. If individual players just “aren’t getting it,” their raid spot will immediately be called into question in both the short-term and long-term. If someone is simply having an off-night, they’ll get replaced for the remainder of the evening. However, if someone is sincerely struggling at learning an individual boss mechanic, their long-term raid spot will also be questioned (sometimes publicly). We are a guild of rising standards, and, to us, WoW is an easy game. At one point in time, we recruited based on the ability to run out of normal-mode Sindragosa’s Icy Grip. We later (much later) recruited off the ability to down heroic Lich King and heroic Halion. For the past two months, we’ve been recruiting off the ability to farm heroic Lich King. When Cataclysm hits, we expect all of our members to rapidly learn and perfect fight execution. With each fight, there’s a new performance standard set. If they fall significantly behind, we’ll open recruitment for someone who can meet the new standards. Rumor has it you instituted a “bottom 3” policy at some point in time. What was that about? The “bottom 3” policy was in effect until September earlier this year. Essentially, the policy states that we’re always seeking to replace the “bottom 3” players in the guild. At the end of each week, officers meet to discuss who were the three least skilled players in the guild. We then inform those three that they were in the bottom 3, and, if they do not significantly improve, we recruit over them. Being in the bottom 3 also removes all loot privileges until we see an improvement. When it comes time to critically analyze an individual raid spot, we look at how often that player appears in the bottom 3 and if we believe their performance level can change. Once we receive an application from someone that we are convinced is better than someone in our bottom 3, we replace them. Once that recruit proves to be actually better than the player in the bottom 3, we remove the player. At first glance, it sounds brutally harsh, but it has proved extremely effective for us in the past. First, it’s worth noting that no one who was meeting raid standards has ever appeared in the bottom 3. Second, it’s generally hard to “convince us that you’re better.” We need to see long-term attendance levels and performance levels that are better than our current players. One single raid-night parse doesn’t cut it here. Finally, the policy doesn’t really do anything different than most other raiding guilds. Most guilds look to replace their weaker players with stronger players, and the weakest players tend to get more urgency attached onto them. It’s nothing new to say that we “remove our bad players.” The bottom-3 policy forced us to focus on only 3 bad players rather than a potential 10 that were on our roster early on. What type of loot distribution system do you run and what was the thought process that led you to it? Ironically, I was a DKP-addict throughout all of Burning Crusade. I spent countless hours trying to create the perfect system that would give the correct incentives for showing up and performing. It wasn’t until I joined Aftermath on Lightning’s Blade that I was enlightened to the brilliance of loot council. Aftermath had a perfect loot council that made decisions purely based on progression and performance. To them, gear was a means to an end. When starting Imperative, I attempted to copy several of their policies. Early on, loot council made sense for us. We wanted to ensure that our best players got all the gear they wanted, while our weakest players got absolutely no gear at all. Point-based systems tend to over-emphasize attendance and downplay performance, so they weren’t an option. Now, I consider myself an expert in loot councils. I’m the author of the #1 Loot Council mod, LootCouncil_Lite. The mod gives loot councils a solid voting interface with the ability to quickly compare upgrade sizes. It has become a critical part of our loot council procedures. *Edit: I personally use Loot Council Lite and I love it. What you did for the red shirt guy was touching. What made you decide to offer that gesture? How did the rest of your guild take it? After BlizzCon and reading the horrific comments on the forums and YouTube, I went to track down the red shirt guy. After learning his identity, we extended him the offer to come to a 12/12 heroic clear, getting all gear that he could use including heroic tier tokens and Lich King weapons. We felt that, out of everyone in the United States, he would get the most enjoyment being a part of the most epic battle that has ever been made within any MMO. 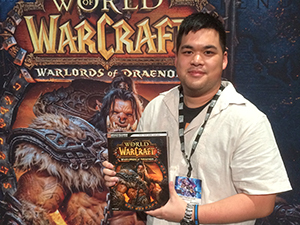 He genuinely appreciated the meaning and lore behind Invincible – it wasn’t just a “cool mount” to ride around. A lot of people have tried to make him feel bad or feel like a nerd, so we thought he should get the gear to feel totally badass. We did not reveal the identity of the red shirt guy until after the raid, so most had no idea what was going on. We didn’t want him being harassed by individuals in the guild or on the server. We instead told the guild that I had a “personal friend” transferring over, and that he would get any and all gear that he wanted during our 12/12 heroic Icecrown clear. He walked out with two heroic Tier Tokens, the heroic Deathwhisperer dagger, the heroic Lich King axe, and a few other pieces. Most notably, we gave the red shirt guy Invincible. One of my officers (Faux) won the roll and elected to give it to him, sacrificing his vanity item eligibility for a few months. After revealing his identity, a few members outright didn’t believe us and were a little disgruntled that we gave Invincible to “some friend of Blacksen.” After the red shirt guy made the YouTube video, however, everyone was happy and warm inside. What’s Blacksen.com about? Are there any projects you’re apart of? Blacksen.com is about a wide range of topics, from guild and raid leadership to zone critiques to game design suggestions. I originally started it as a feeble attempt to improve my chances of getting into the gaming industry. Once I really got going and Imperative started making significant long-term progress, blogging became more of an hobby. The majority of the blog focuses on guild and raid leadership within World of Warcraft, but there are a few other things I’ve tossed in. A lot of my guildmates have recently become enthralled with League of Legends, so I’ve written a couple of entries on that. 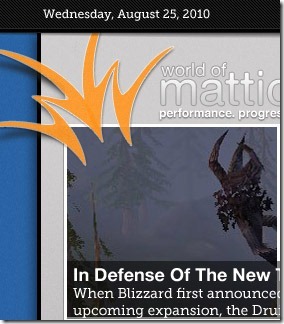 A significant number of us also participated in the Cataclysm beta. I’ve also been a part of the MMOLeader.com launch. The title pretty much explains what it is – a place for leaders within MMO’s to congregate to discuss various strategies and issues that they’ve experienced. Thanks again to Blacksen for taking the time to participate in this interview! How to properly leave a guild has been a topic often talked about, and even more so as of late with the imminent expansion. It’s that time of year when some folks try to find a better fit than the guild there in, others are taking the opportunity to step away from the game and focus on real life more and some are just out-right quitting the game. No matter the reason, it’s never an easy choice to make. You’re effectively stepping back from one thing you love to focus on something else that you likely care about equally. Let’s be honest here for a minute. It is incredibly rare for someone to play a game contractually, and in the case of an MMO until the servers go dark. I said incredibly rare because even though you hear of players (or you may very well be one) that still play EQ, for the most part that is a small cross-section of the modern gamer totals. Entering into an MMO you have to have an expectation that people have the potential to leave. Yes, making friends in an MMO can be an extremely rewarding experience, but if you aren’t prepared for the possibility that the person may walk away from the game, you can be left quite devastated. People leaving the game can be tough on a guild as well, especially if it is a person in a leadership position or someone who has become a person that others depend on in a raid. It’s even harder when it’s someone you consider a close friend. Let us say that an officer is leaving the game in any serious capacity for what may very well be forever to pursue activities in the real world. Let us also say that said officer is an integral part in the running of the guild, like recruitment, raid leadership or any of the various other administration tasks. That leaves a gap in leadership that has to be filled, and in most cases, pretty quickly. The same holds true for a raider, let’s say the top DPS in the raid decides it’s time to leave. Depending on the rest of the guild and group composition it can leave you with a hell of a damage gap to fill. That affects the rest of the guild’s progression through content later on. This becomes compounded when the departures are unannounced or rather sudden. If people think others are leaving out of the blue, it can sometimes cause a panic attack and cause enough of a stir to leave lasting ripples with other members. If you are considering leaving a guild or quitting the game, the most important thing to keep in mind is communication. This is especially true if you are in any position of power, or importance, within the structure of a guild. You should never feel you have no choice but to play the game. While some of us have chosen to make a profession out of gaming, for most people it is a source of relaxation and venting. A safe haven if you will. That said, if a game becomes no longer fun, or if you need to find a better place in order to have that fun you should be allowed to do so. The same goes for real life. Anything that happens out of the game should take precedence over any obligations in game. One of the key things when even considering breaking off from a guild or the game in general is communication. Letting key people know ahead of time can help lessen the impact of your departure, and it can afford you some much needed piece of mind in making your decision. 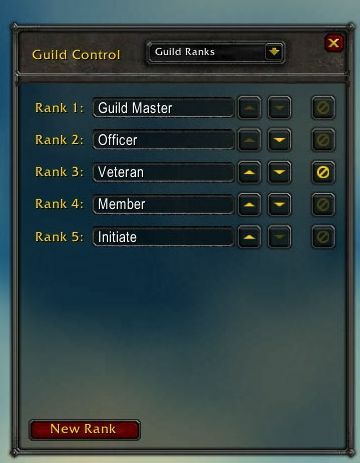 Talk to your GM about it, if there is a morale officer in the guild talk to them about it as well, maybe even your class lead if your guild has implemented those ranks. The point is talking about it, even if you’re just considering it, will not only give people a heads up, but give you an outlet to talk things out. It may help to make you feel a lot better about your choice if you decide to move on. If your guild has forums set up, it is advisable to make a going away or stepping down/back post just to let people know where you’re going. You may be surprised how your leaving affects people around you in game on a personal level, and how much just knowing ahead of time that you’re leaving can help them cope. I’ve made a lot of friends in game over the years. On several of those occasions it has turned into a real life friendship. In my previous installments of Friends and Raiders I’ve discussed making lasting friendships, walking the balance between friends and leadership and I’ve even introduced you to my healing team. One of my best friends, Eromon, I met through the game, and found out we lived in the same city. He has since left the game mostly but we still remain in touch. Before he left, we talked about his departure in great detail before anything was said to the guild. It helped him know he was making the right decision, and helped with being able to answer guildie question. So about a month ago, Unpossible decided it was time to take a break from raiding. We’ve been hitting ICC pretty hard since it was released with little to now time off. Officers gathered and decided that a break before Cataclysm was a good idea and would give people a chance to unwind, relax and have fun doing random things like achievements or *gasp* play other games and maybe leave the house! ( I kid, I kid.) Before this break, one of our top DPS and an officer expressed that he felt it was time to leave the game behind, or at least step back from it. He felt that it was time to focus on other things in his life. We showed him how much we loved him at BlizzCon this year by playing one hell of a prank on him. For the last two weeks, he has been true to his word and hasn’t logged in. Not only is he a big chunk of our DPS and an officer, he is a really good friend of mine. He was one of the first people I met in Unpossible 6 years ago, and was always someone I had great respect for and someone I’ve grown to call a friend. Him leaving marks a hole in our DPS, our leadership structure, and our guild. We’ll still keep in touch over media like facebook and email, so at least on a personal level I’ll still have contact with him. A few days ago, another two members of our guild announced that they too would be stepping back. One, a rogue who was consistently in our top 3 slots for DPS for as long as I can remember. The second is his wife, and a core member of my healing team. She is also an officer in our guild. Losing him is another big hit on our DPS, and honestly he’s one heck of a guildie and a great guy. His wife, for me, puts a very large hole in my healing team that I will need to fill as well as marking the falling of another tree from my “Forest of Win™”. On a personal level, I will miss them both in game dearly but will try to keep in touch with them via other media. When I heard that these three were leaving, to be honest I was a bit devastated. It took a little bit for me to work it all out. With Zabos I at least had time to let it sink in and get used to the idea. Because we talked about it before hand. With our rogue and his wife, I had zero warning. These are people that I had come to rely on in raids, in guild structure and honestly were people that I had grown so accustomed to talking to during raids I couldn’t imagine not having them around. When I saw their post declaring that they were essentially stepping back that day, it hit me all at once and in between personal feelings about their departure, I had to start planning to replace at least my lost healer to make my raiding heal team whole again. It’s something I’m still a little at odds with, just because it blindsided me. Thankfully their posts were very comprehensive, so there are no questions as to why they are stepping down. I know a lot of people in the guild are sad at their leaving, and many have already started asking how we are going to fill those gaps in our raid team. The difference between the two really is simply that Zabos talked to me about it well before coming to a decision. It didn’t hit nearly as hard, and I was better prepared to deal with it. The other two really hit hard especially on a personal level. I had no idea they were even considering stepping back from the game. Both however communicated why they were leaving so that when guildies found out, there was not mass panic, and no jumping off the proverbial cliff. The world still turns and the server hamsters are still, hopefully, running. Cataclysm is less than a week away, and everyone is getting excited to have new quests, new dungeons and to have that fresh new game smell. Unpossible will still be there. We’ve survived since the game was brand-spanking-new, and we’ll likely be around until the server go dark. Sure, we’ll lose members along the way, but we’ll gain more friends as well. We’ll promote new people to officer as it’s needed and continue to thrive. People are already beginning to step up to try to take the place of those that left, and we’ll be able to fill the raid rolls and keep the ball rolling. That’s the nature of the game after all. We’re going to go ahead and punch Deathwing in the face, and chew through whatever the game throws at us. We’ll miss those that have left, and we’ll tell new guildies all the awesome stories about those that came before them. It’s like keeping an oral tradition alive, their stories will live on. For me though, I know this newly minted Dwarf Shaman is a lifer. I’m in until the world goes dark. So how about you? Have you lost any important members to your guild? Did they let you know they were leaving before hand? Have you left a guild and let them know? Well that’s it for this week. Until next time, Happy Healing! This post has everything you ever wanted to know about the guild leveling system and perks for the expansion. Edit: There is going to be a cap on the amount of reputation you can earn with your guild. That value will be capped weekly. It’s not like guild experience (that’s capped daily). Like most other in game factions, you can gain reputation with your guild. Note that if you decide to change guilds, you will lose all of your guild reputation and will be required to earn it again when you join a new one. Earning reputation is quite easy to do. As you are earning guild experience, you are also earning guild reputation. 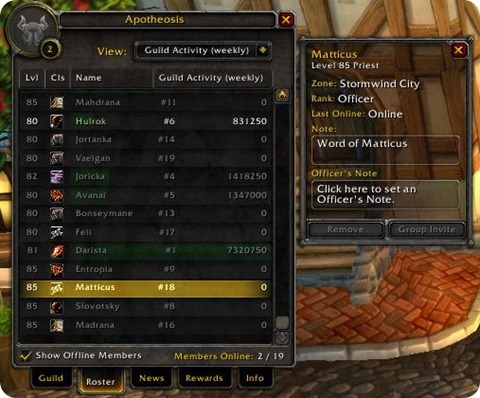 A hard cap of 600 1000 members is allowed for a single guild in Cataclysm. 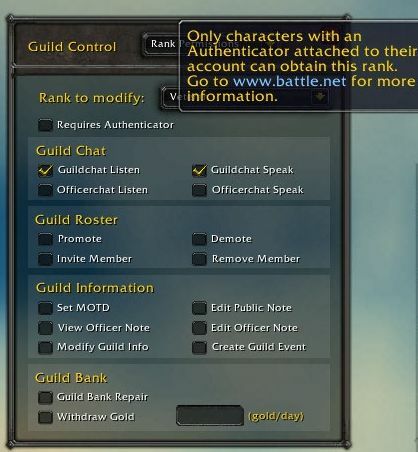 If your guild exceeds 600 people, don’t worry. You don’t have to make immediate cuts right away. The problem you’ll have is that you will not be able to invite more players until your guild drops under the 600 1000 member count. 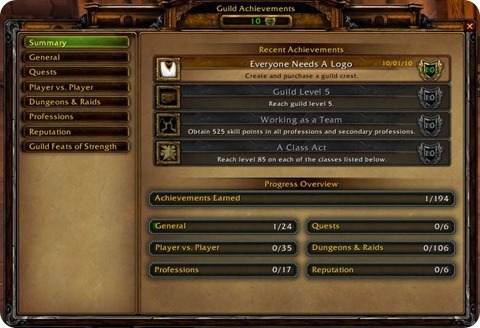 Guilds can now earn experience which contributes to the level of a guild. The higher the level, the better the rewards. guilds will have access to all sorts of cool stuff like additional bank tabs, increased experience gain, and increased money gain. As guilds are participating in activities to level up, there is a hard limit on the amount of experience that can be earned for the week. Currently, the guild cap is weekly daily. Not sure if that will be changed to daily upon the launch of the expansion. I’m not opposed to the idea of imposing a weekly cap instead of a daily cap. This places smaller guilds on a relatively even footing on larger guilds. For example, assuming the weekly cap is something like 10000 experience, the large< Mammoth> guild could easily score 10000 experience within 2 days. However, the smaller <Stingers> guild would take 5 days to reach that amount of experience. It wouldn’t matter though since the cap would then reset every week. Daily would work if the value was small enough that a 10 man guild (for example) would have the opportunity to max out. Exception: Guild achievements that contribute guild experience will not count towards the cap. If you want to max out your guild fast, all you need to do is knock out some guild achievements! 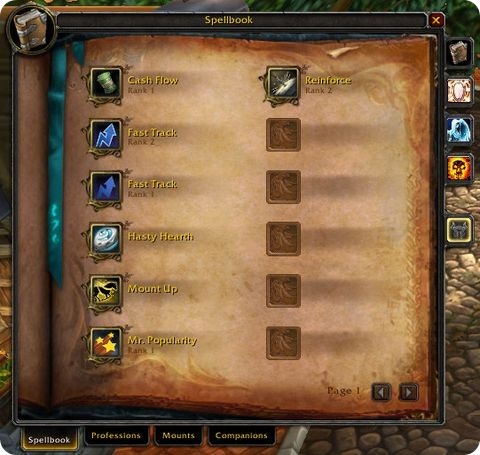 As long as players have the appropriate reputation with the guild and the guild is at the right level, you’ll be able to access guild perks in a special tab in your spellbook. If you’re wondering where to find Mass Resurrection, this is where it will be. On a side note, it doesn’t seem like Mass Resurrection has a mana cost associated with it. I also wonder if I’m in Ashenvale and I’m in a party with someone who is in the Barrens, if that player dies, will I be able to resurrect them from a zone away? Some of these achievements don’t actually seem all that bad. Obviously you need to be in a group that contains a majority of your guild to actually pull them off. … Any farmers out there looking for a guild? Guild rewards (like an additional bank tab) can be bought. Your guild needs to reach the appropriate guild level, have the appropriate achievement, or the members need to have the right reputation to purchase or use them. Members can buy items like that Worn Stoneskin Gargoyle Cape for 1200g. The item is considered bound to the guild. If that player leaves, the item is returned to the bank. Actually, it looks like once a player buys a next generation heirloom item, it’s theirs to keep. No word on whether or not the ability to transfer it to other guild members is going to stick though. The vendors for these can be found in capital cities near the NPCs that offer guild services. 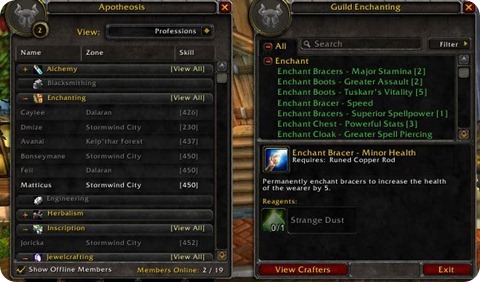 You can even sort the roster list by professions and see what everyone in the guild has. The [View All] link shows what your guildies can produce combined. No more having to sticky forum threads with list of players who can craft specialty items. My personal favourite? No more receiving messages asking “Matt, link enchanting”. Shots of the guild controls courtesy of Kurn. As you can see, it looks like ranks can physically be shuffled up and down the ranks. I’m not sure what the cap is on new ranks. Permissions of ranks have largely remained the same. 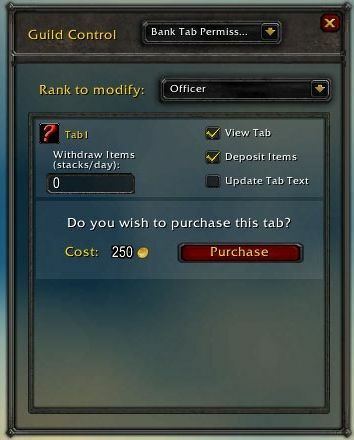 Bank tabs are now purchased directly from guild control instead of the actual bank. Lastly, there is now an option to enable a rank that requires players to have an authenticator before they’re allowed to reach that rank. Are you still floating around somewhere hopping from guild to guild? Not quite sure what you want or what to do? You better figure it out fast! At the very least, I’d suggest guild shopping now. Any guilds that are still actively doing stuff are a good bet to be stable into Cataclysm. To me, that indicates a leadership that has some idea of what they’re doing if they’ve managed to hold things together this long. 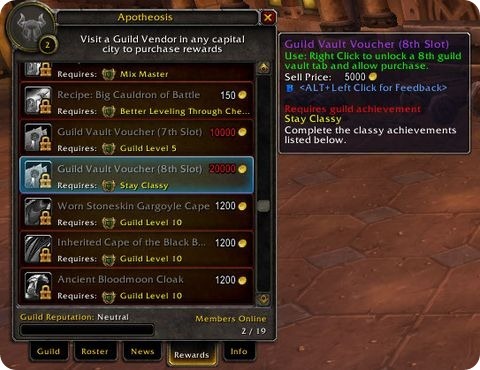 I know some people are waiting for Cataclysm to arrive before they start the guild shopping process. But isn’t that a bit late though? Wouldn’t you want to look around now at the proven guilds instead of waiting to see what Cataclysm guilds flop or emerge as power houses? No rush, I suppose. You still have around 2 months. For achievements like “Bushels and Bushels”, will the amount of herbs I (and other guildies) have farmed before Cataclysm count towards that total? Or do we all start at zero when this gets implemented? No. 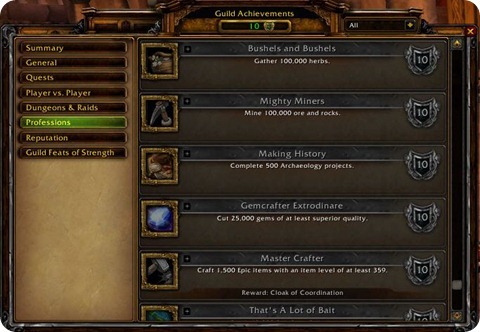 Anything gathered before the guild achievements kick in will not be counted. The only exception is the achievement for We Are Legendary. Question about “mobile banking” and “have group, will travel”: Does the guild share a cooldown, or can anyone in guild with enough rep to use it do so independently? I can confirm that the guild does not share a cooldown. I activated my guild Mobile Banking ability and checked with the rest of the guild. It activated my 1 hour cooldown but it did not trip the cooldown of anyone else. I suspect Have Group, Will Travel will work the same way.